Social Media Optimization (SMO) is the process of increasing the awareness of a product, service, brand or event by using social media platforms, outlets and communities to create viral publicity. 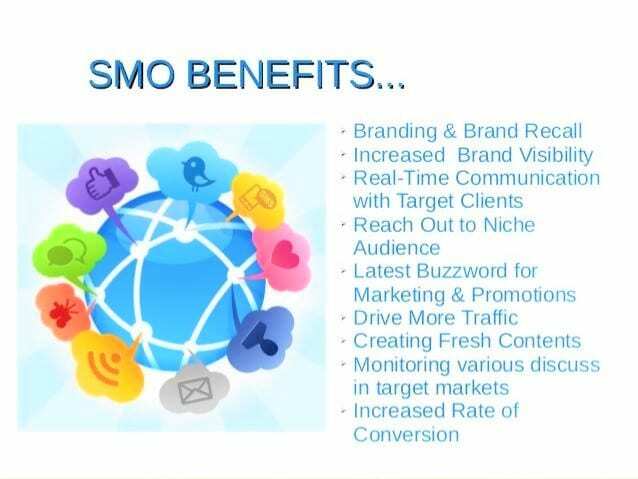 The purpose of SMO is to use social media to grow the traffic flow to a website. SMO helps build familiarity and trust as people will find you not only mentioned but also recommended. According to Google’s Hummingbird algorithm the more the content is shared on social media, the higher the perceived quality and hence the content will rank higher in Google’s search rankings. Thus the motto these days is to make the content more easily transportable and shareable. The material should be available and easily visible on apps, widgets, social networking sites, blogs, video sites, forums..that is as far as possible on all digital entry points. 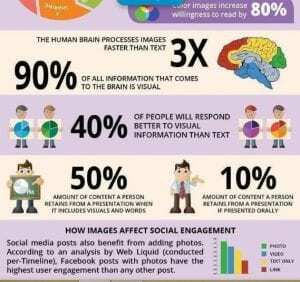 Hence we can safely state, social shares are more important in calculating rankings now, and they’re apt to contribute even more in the near future. The Hummingbird algorithm values quality content that is relevant, authoritative, and shareable. As we know that content is king and sharing it smartly is what matters to make it widely accessible. When people find the content valuable, reliable or exciting, they want to share such content. Even simple steps such as having the social share buttons displayed prominently with the content goes a long way in making the content accessible. Further showing the number of shares a content/post has generated establishes social proof. When we optimize for either search environment, there are some direct and indirect benefits. The direct benefit is simply more people finding our profile and connecting with us and also visiting our website. The indirect benefit is we add an extra link pointing to our website from our profile. Social sharing tools must be integrated into the site architecture. Include direct web links to social media channels from the website and from social profiles back to the website. We can also add social media sharing buttons to individual blog posts. Links on social media are often considered higher-quality links because social sites have a high web authority. Even if the Facebook page is brand new, it’s likely to rank well in the SERP’s because of Facebook’s overall high authority. Creating social profile seems like a simple task, yet it’s one of the first areas where businesses tend to fall short. Fill out the profile information 100%. Search engines tend to favor profiles with complete information. It also creates a more professional cohesive experience for others in the network, so all the contact information in the social profiles should be exactly the same as they are on the website. If we want to maximize exposure of our social media profiles, keywords play a very strong role. Structure keywords and target key phrases into social profiles in a natural, non-spammy way. Further, if you can effectively use our keyword or phrase in your profile or page name, it will help it rank better in keyword searches on Google and within the social network search itself. Keywords are important for a website, blog content, and ad campaigns. So it should come as no surprise that keywords matter with social content, too. This also helps keep the content relevant for the target audience. It’s called social media for a reason. Social signals are an important factor in SEO because search engines look at social signals and factor in how often we’re posting, how many people interact with us and if there are social sharing elements available to website visitors. Brands often forget that the purpose of these platforms is to build relationships. It’s not a set and forget type of medium. Get out there and participate in conversations, follow the customer base and share helpful content from both the website and other relevant sites. We can’t stress the importance of always putting the best foot forward and staying on brand. The cover image is the first thing a user sees when he/she visits the page and we want to give them a good impression. Use this opportunity to convey brand messaging to current and prospective followers/customers. 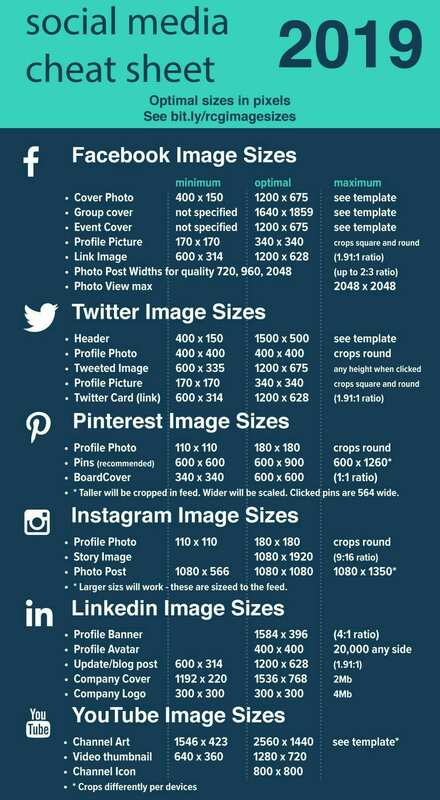 Use recommended size guides for each platform to ensure that cover image is formatted and displayed correctly, and always use professional images that are relevant and memorable. Social media can be one of your greatest assets for improving the site’s organic search results if properly utilized apart from contributing to revenue. Social Media Optimization is here to stay. BPM provides top-grade SMO services and solutions. Let's have a talk about it.